Many consumers live in fear of hidden credit card fees. Credit card holders know that these fees exist, and are concerned about when they will get stuck with unexpected charges. Credit card companies have to make money somehow, and offering low APRs and no annual fees is simply not enough to keep these companies afloat. Hidden fees are the cash cows of these companies, and they couldn’t survive without them. Credit card companies depend on consumers getting hit with these fees in order to be profitable. Rate hikes, cutting credit card limits to cause over-limit fees, and international fees are the three biggest hidden credit card fees that are causing woes to the consumer. Rate hikes occur when a credit card company takes the current interest rate being applied to the outstanding balance and raising it to some other figure. Rate hikes are most commonly caused by missing a payment. Consumers should beware of the attractive, low rates used to entice them into transferring balances. The fine print related to these deals often includes severe increases in the interest rate if even one payment is missed. Rates can be doubled or tripled, causing a massive increase in total interest to be paid and in the monthly minimum payment. Other cards with low introductory rates have pre-scheduled rate hikes included in the fine print. The low introductory rate may only last six months to one year. One of the sneakier tactics credit card companies uses to earn additional fees is to cut the consumer’s credit limit to just a few dollars above the outstanding balance. Then, when a consumer goes to make a purchase, the credit limit is exceeded, and over-limit fees apply. Credit limits are often cut without the consumer being notified, which can lead to a nasty surprise the next time the consumer receives his or her credit card statement. Rate hikes usually accompany accounts where the credit limit has been exceeded, resulting in a double whammy to the card holder. Finally, some credit cards charge substantial additional fees to the consumer for any purchases made outside of the United States. These fees can be as high as 3-5% for each transaction. Some companies charge international fees not only when a consumer makes a purchase when physically outside of the United States, but also if the consumer makes a purchase from a foreign company via phone or email. With so many hidden credit card fees, consumers should be diligent in checking every number on their monthly statements. 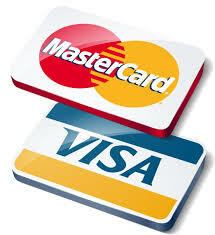 Charges can sometimes be removed following a phone call to the credit card company. However, seek advice of Your Personal Financial Mentor before planning to get a credit card in order to minimize the cost and find the card that is suitable for you.